The benefits of water have long been known to treat people with various conditions. By using a carefully planned aquatic program, children with sensory processing issues and autism also benefit greatly from this type of therapy. Summer’s here. Get to know the basics of aquatic therapy, when to use it, how to go about it, and how the proper use of this technique. Ms. Cristina de Leon- Hinlo is the Program Director of Therapy Works Inc., a pioneer in the appropriate practice of aquatic therapy for children and adults with special needs. A graduate of BS Occupational Therapy from UP College of Allied Medical Professions. 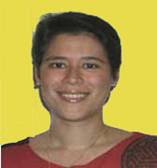 She also had her Masters in Business Administration (Health) from the Ateneo de Manila University, School of Business. She is also the founding member of Therapy Center Movement Association, proponent of Thera-Free or Libreng Therapy para sa Pilipino. Learn the basics and principles of sensory integration plus the common problems and the reasons underlying it. Know also the environmental modification techniques (adapting the home or space) and the importance of play and self-care tasks in sensory processing/ integration for children with special needs. Pre-registered participants may pay to Autism Society Philippines, Banco de Oro, Savings Account # 3980002955. Please fax the deposit slip with the name/s of participant/s to ASP office and bring it on the day of the seminar. On-site registrants will be accepted depending on the availability of slots. There will only be 80 slots available. No refund will be given to participants who did not show up on the date of the seminar. The ASP Seminar Series serves as a platform to educate Filipino parents and professionals on the various interventions, modalities and theories surrounding Autism Spectrum Disorder. Their application and implementation are left at your discretion. The views and personal experiences of the speakers are of their own and don’t necessarily reflect that of the views of the organization. Thank you for this. We are helping to spread the word about this on our website (AngTherapist.com) too.